If you are the proud owner of a piano, whether it is an heirloom or one that you bought, maintenance of it is very important. We know how difficult and stressful it can be to move. There is a lot of planning involved, packing, loading, unloading and unpacking. Not to mention the total cost of moving. A lot of folks prefer doing things by themselves, including moving special items like pianos. This is however not advisable, as it takes careful planning and packing and professional handling to get the job done properly. 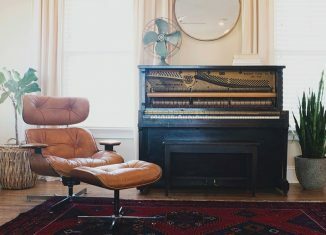 Whether you want to save money and move your piano or prefer doing it yourself, you’ll soon find out why it’s a job that calls for professional help. You’re probably shaking your head in disbelief. The truth of the matter is however that while you save money on not making use of professional piano movers, you may end up damaging your piano. The cost of repairing or replacing a piano outweighs the cost of a moving company or professional piano movers. The saying penny-wise, pound foolish is very true in this regard. By hiring professional piano movers, you’ll save yourself the repair or replacement costs as well as the time and effort. Moving a piano is a very tricky thing. 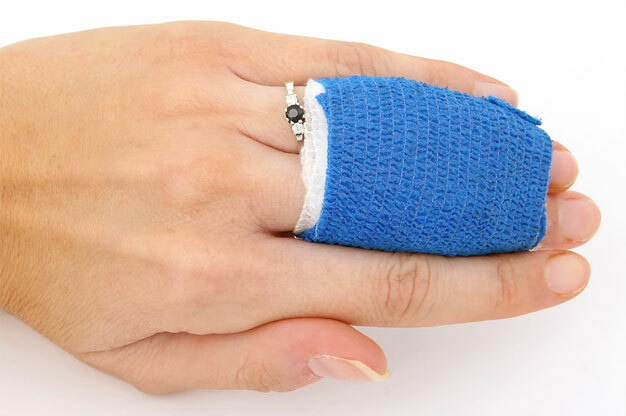 If you don’t know what you are doing, you or those helping you may end up being injured badly. Did we mention the weight of a piano? 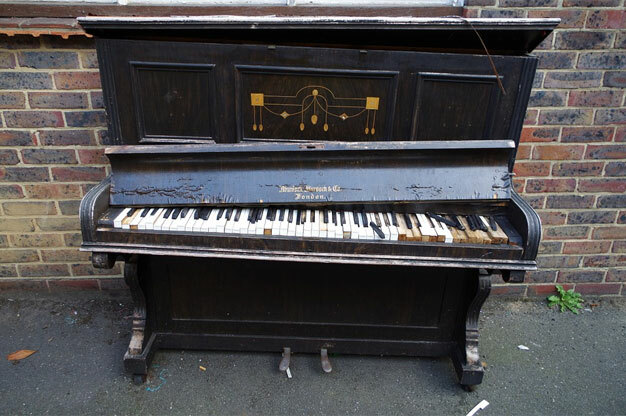 While smaller pianos can weigh 300 pounds, some can weigh up to 1,000 pounds. The weight in itself is a clear indication that you’ll need expert assistance when moving a piano. When you opt for professional piano movers to get the job done, you won’t be at risk of suffering any serious injuries. Whether your piano is a family heirloom or something you bought recently as an investment, the value of it should not be underestimated. If you move your piano by yourself, there is plenty of opportunity for mishaps as you are not aware of specific precautions that is taken to prevent damage. Professional movers will be able to ensure your piano reaches the destination in one piece. Rest assured that professional piano movers are experts in the field, and that no harm will come to your prized possession during any stage of the move. We’ve mentioned that pianos are heavy and difficult to move. 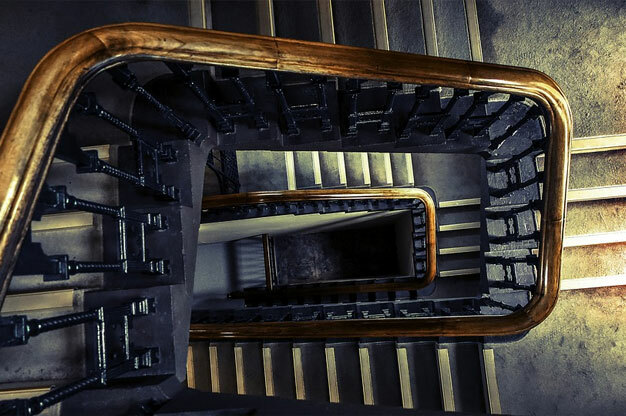 Now, imagine you are moving from an apartment on the tenth floor and the only way down is stairs. Ouch. Professional piano movers make use of special equipment and techniques to ensure that moving your piano up or down a fleet of stairs is swift and safe. You may argue that you can get the equipment and use it, but the best option is to trust professional piano movers as they know exactly what they are doing. You won’t have that extra cost of hiring a special truck for your piano if you use professional piano movers. They will have all the necessary equipment and techniques to ensure your piano is taken from one location to another expertly. This includes wrapping and padding the piano to ensure it isn’t damaged or scratched. Hiring professional piano movers ensures you don’t run the risk of damaging your piano or have to spend more money on extra or special transportation. As you can see, getting professionals to do the job is a way better option than either injuring yourself or your bank account. Hiring piano movers will also ensure you can enjoy a stress-free move and focus on getting settled in you new home in no-time. If you are the proud owner of a piano, whether it is an heirloom or one that you bought, maintenance of it is very important. If you’re not using it frequently you may find that you are not aware of the dead giveaway signs that it may need repair or a general service. 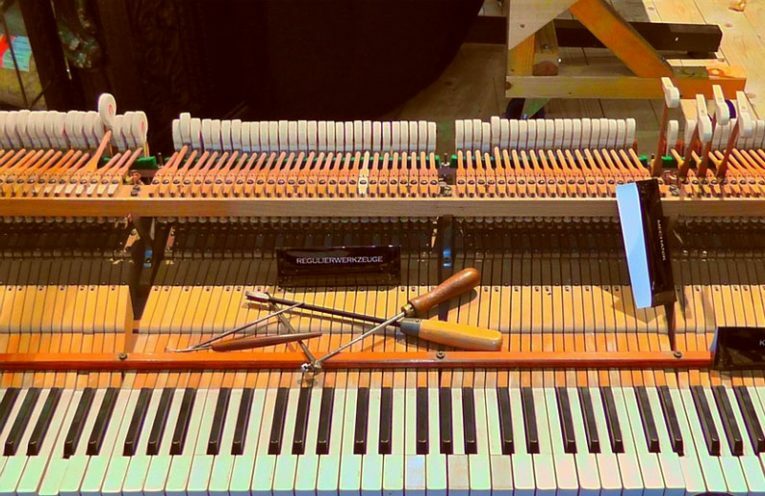 Adirondack Piano Services offer professional piano services which includes repair, maintenance and moving of pianos. We know what to look for when testing a piano to ensure high-quality sound and experience. In this post we reveal the five signs you need to keep an eye out for to enjoy your piano to the fullest. General upkeep of a piano is key to full bodied, high-quality sound. 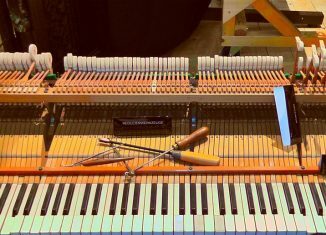 Hammers and strings of a piano needs special care and may need to be replaced if you play the piano frequently. If you find that the piano has a tinny sound this could be due to hammers that needs to be repaired. 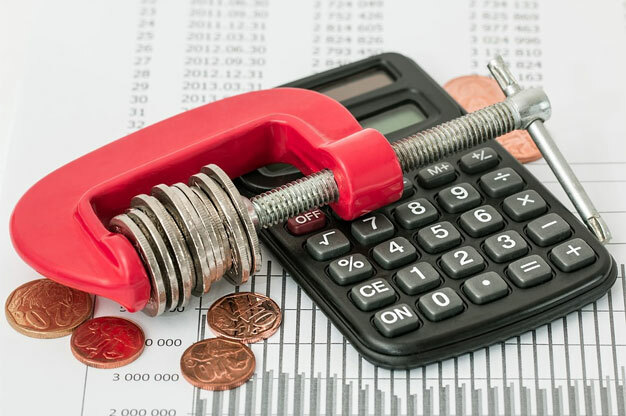 Repairing hammers is best left to the professionals, be sure to give us a call and we’ll replace or repair them for you! Pedals without tension is no use to anyone who plays the piano frequently. There are three main pedals and each have a specific purpose; to make notes longer, quieter and to improve the sound of notes. If your piano’s pedals don’t have any tension, you won’t be able to get the required sound. For optimal playing experience, make sure you take care of your piano’s pedals! 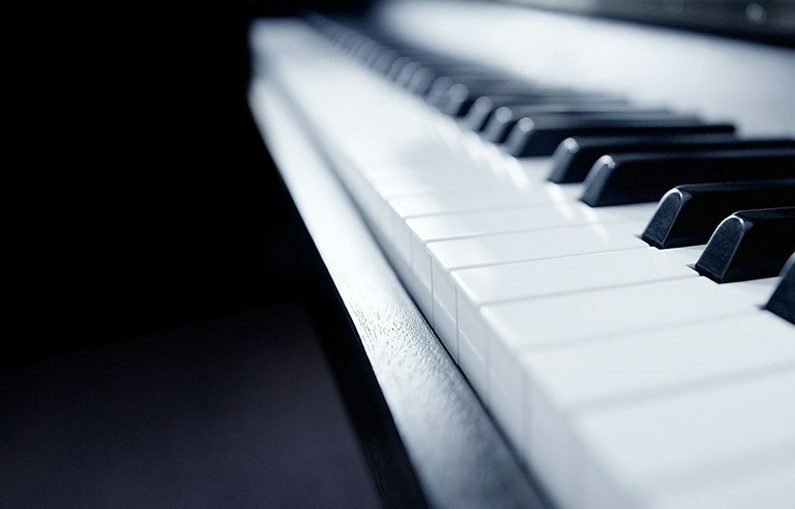 If you play frequently it will be fairly easy for you to hear when the time comes to have the piano tuned. 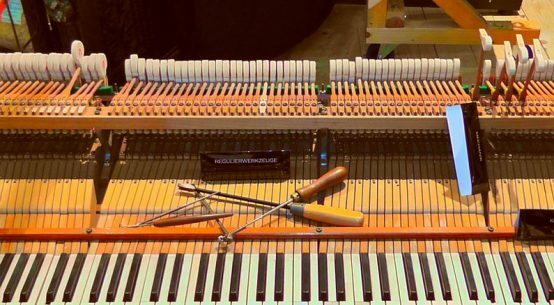 Even though tuning a piano is not too difficult, it is a task best left to professionals like our team at Adirondack Piano Services. We’ll ensure the strings and machine holding everything together is shipshape for the most enjoyable playing experience. 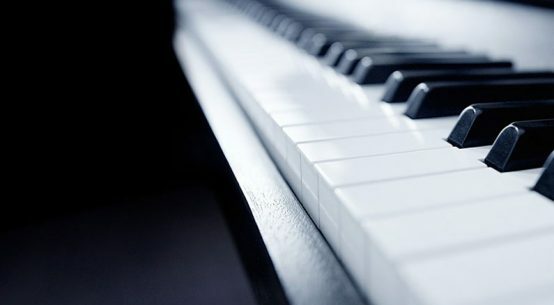 If you play often, you would have noticed that the piano keys are ‘bouncy’ so to speak. This is crucial for the quality of your playing experience and the sound. If you find that your piano’s keys have no rebound, we’d advise that you call the professionals to repair it as soon as possible. If your keys are too soft, you’ll experience difficulty in playing the piano altogether. These signs will indicate when you should get professionals to take a look at your piano. Maintaining a musical instrument, especially a piano, is an ongoing process and should not be neglected. If you have picked up any of the signs we’ve discussed, be sure to give us a call and we’ll be more than happy to help! If you’ve always wanted to learn to play the piano, you should perhaps start considering doing so. If you have kids, even better, have them learn how to play! Learning how to play any musical instrument holds many benefits and stimulates many areas of the brain. In this post we discuss six important health benefits of playing the piano. All of these apply to both young and old. Let’s dig in! Playing the piano skillfully requires discipline and the correct posture. Having great posture in itself has many health benefits. But, most importantly, your arm and hand muscles will become strong. By playing the piano, you’ll learn to correctly hold and position your arms and hands, while strengthening them. It’s no secret that listening to the piano is calming and soothing. Just imagine the effect it has on your emotional wellbeing. It’s been noted that playing the piano even for a couple of minutes a day will lower your blood pressure, and relieve any stress. It’s also known to boost self-confidence. 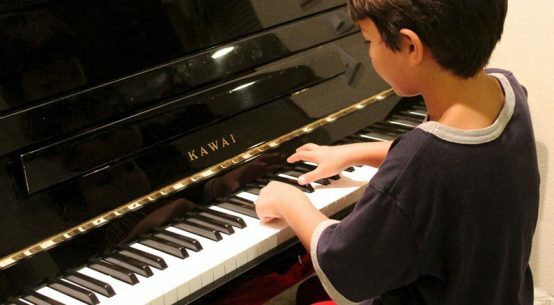 Children who learn to play the piano at an early age will have an altered growth in human growth hormones. This in turn leads to less pain and discomfort in old age, and ultimately strengthens the body. Growth hormones are also responsible for energy levels, and can ensure your child can enjoy a long and happy life. Because the piano stimulates aural awareness, it also improves language skills. In turn, it makes it easier for those who play it to understand different sound patterns in different languages. Children who have dyslexia also benefit by curbing the development thereof at an early stage. 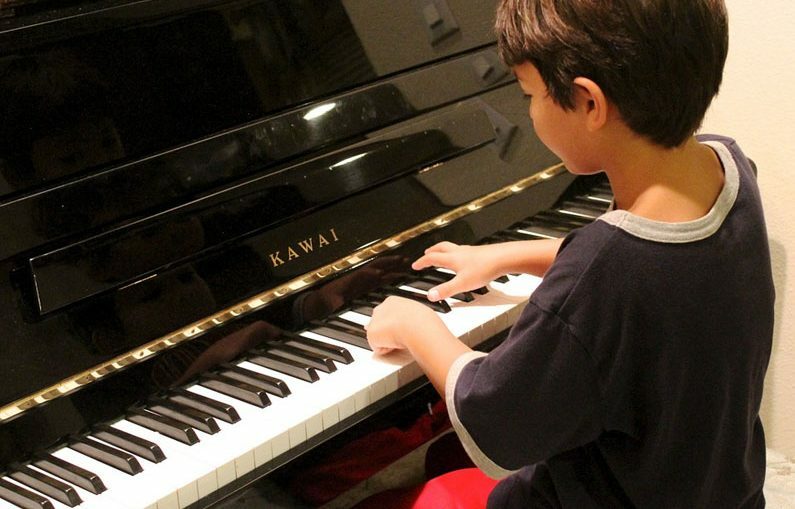 While practicing the piano, you will find that you have to be able to perform multiple tasks fully. You’ll have to be able to use both hands for different notes while reading the sheet music in front of you. This action stimulates and develops split concentration, concentration and of course hand-eye coordination. Learning how to play any musical instrument will stimulate your brain. 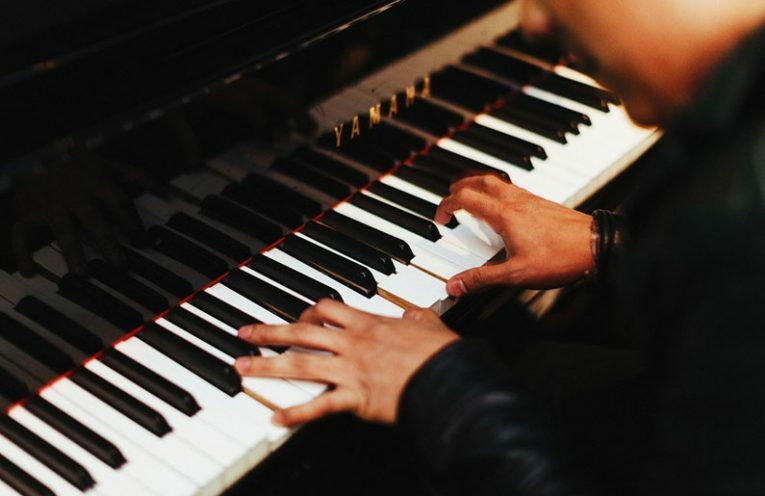 When learning to play the piano, you will be helping the brain develop new neural connections and add higher tiers of connectivity. This in itself has plenty of benefits including improvement of concentration, achievement and everyday activities. 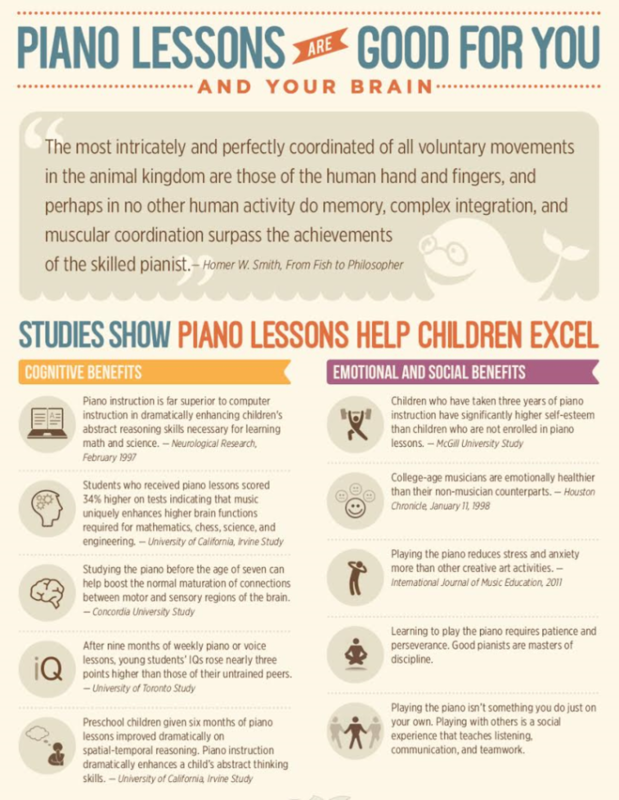 As you can see, exposure to piano lessons have loads of benefits on a physical and a mental level for anyone who learns how to play. Young children will also be able to appreciate constructive criticism later in life. 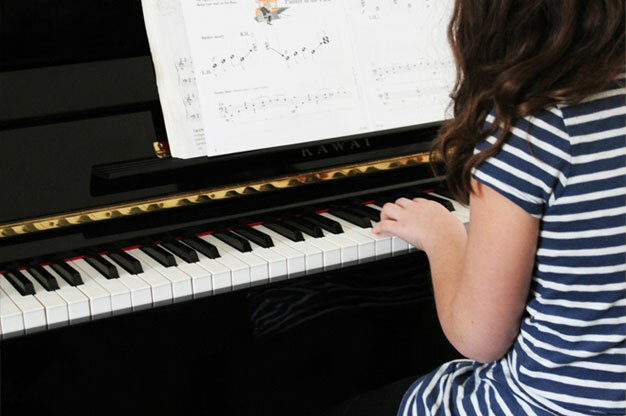 If you are still not sure whether or not buying a piano or just going for some lessons is a good idea, think about how you and your family will benefit! Apart from all the health benefits, what’s more beautiful than the sound of a piano being played skillfully? Moving into a new house can be exciting yet tiring. 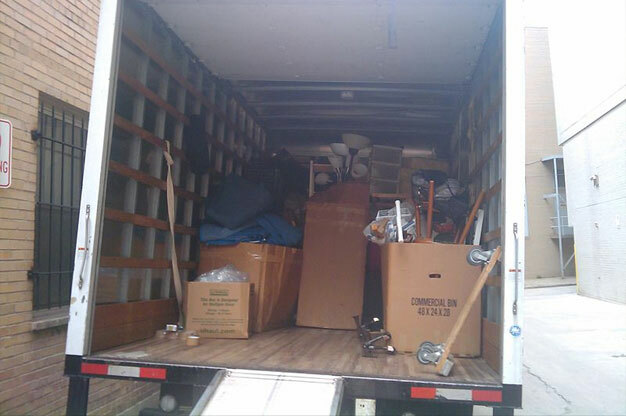 The entire moving process can be very stressful, especially if you have to do it yourself. There’s the packing and itemizing, heavy-lifting and of course unloading and unpacking. Of course, it is very exciting to see all your furniture fill up the new space and selecting the perfect spot for your piano. But, it’s not as simple as dreaming about where you are going to put each piece of furniture. 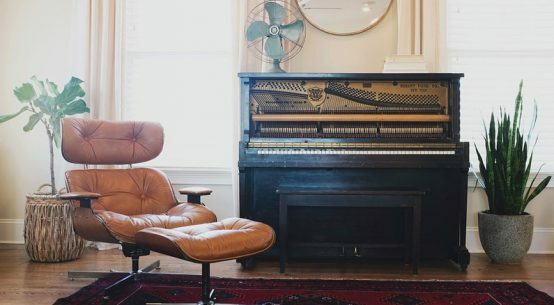 With these four tips you’ll be able to make sure your piano reaches the new home in perfect condition. Firstly, you have to be aware that the model or size of your piano will play a crucial role in the entire moving process. Keep in mind that every dimension should be written down and that you should be fully aware of the weight of the piano. Moving any piano, big or small, requires some extra hands! Even the tiny Spinet piano will take a couple of people to lift and carry. You need to have a clear idea of the exact route your piano move is going to take. 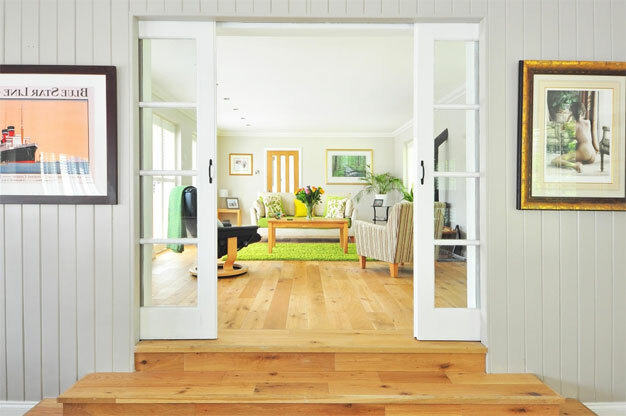 Ensure that the dimensions of the piano will fit through all the doors it needs to go through. It is always best to load the piano before any other furniture pieces, and last at the destination. Discuss the move route with everyone involved and ensure that there’s enough hands to lift and carry the piano safely. Depending on the model and size of your piano, you may require the help of a dolly. Firstly, you need to ensure that the piano hood is locked securely. Secondly, you’ll need some thick or special moving blankets to cover your piano with. The blankets are taped to ensure the piano is not damaged during any stage of the move. Next, you’ll either tilt and lift the piano onto a dolly, or carry it to the truck. The trick with moving pianos is to ensure that the weight carried is spread evenly. There should always be a couple of hands to ensure a safe and efficient move. You’ll find that the piano is heavy, and regular pauses or breaks to adjust grip will be necessary. Slowly lift and move the piano into the truck. Once at the destination, repeat the process and place the piano in the designated area. Even though it is possible to move your piano, we’d suggest you make use of professional piano movers. A team of professional piano movers have the experience and expertise to ensure your piano reaches your new home in one piece. Contact Adirondack Piano Services today for your piano move! 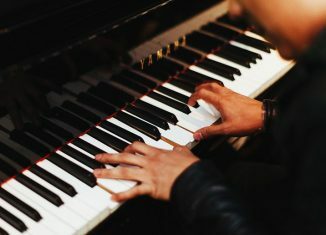 Whether you want to buy a piano for entertainment or display, selecting the best one can become tricky if you don’t know anything about pianos. There are loads of factors to take into consideration; your budget, the space you have available, the purpose you want to buy it for. In this post we discuss the top four tips for anyone looking to buy a piano for their home. It might not be one of the most important factors to take into consideration, but your interior will play a role in your decision. 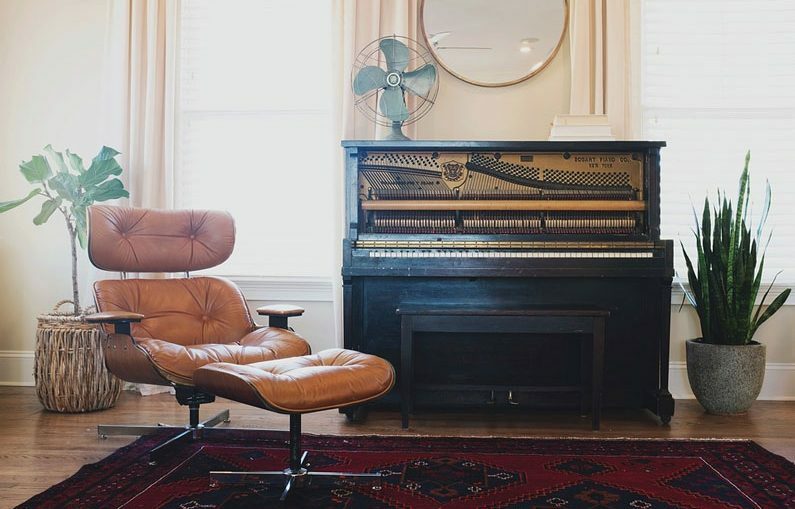 If your interior has a classic look and feel, investing in a grand piano might be the best option for you. 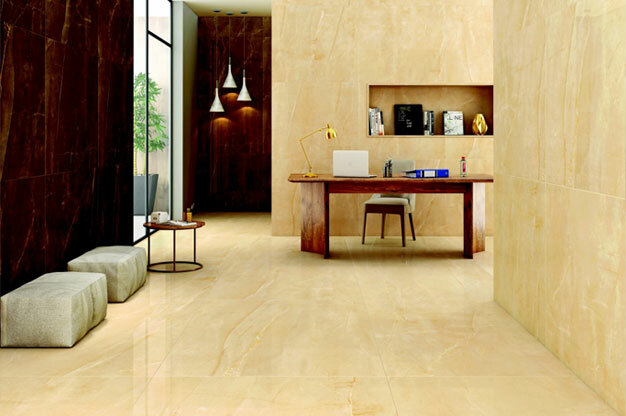 The model and brand you end up buying should complement your furnishings and taste at the end of the day. If your new home has loads of space with big rooms, a bigger piano will be best. Something like a grand piano would be your best bet as the bigger space will allow for a higher quality of sound. Smaller spaces and rooms call for smaller models. But, if it is quality sound you are after, a bigger piano is the way to go. 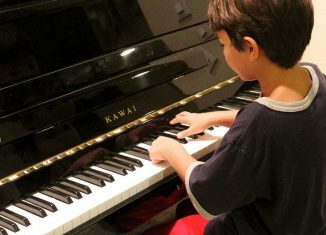 Are you looking at buying a piano for decorative purposes, or are you or your kids going to learn how to play? 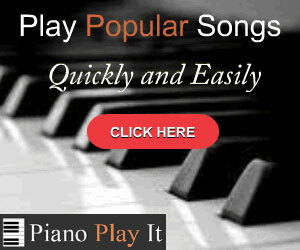 This factor will indicate the quality of the piano you should look at buying. If you aren’t planning on using it, quality won’t play such a big role. If, however, you are someone who can play or want to learn how to play, you’ll need to invest in a better model and make. You’ll have to have a set budget. This is the most important of all. Once you know what price range you are looking at, you can start browsing for the best model and make that suits your budget. Even though pianos are a pricy item, you don’t have to break the bank to buy one that suits your pocket and needs. Having a ballpark figure is a great starting place. These pointers should be enough to get you started on the hunt for the best piano for your home. 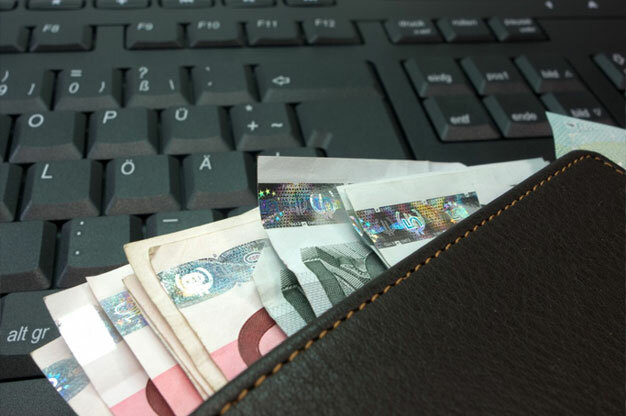 It is very important to do your homework before buying the first and best option you find. You’ll have to test them and compare their features to make a final decision. Happy shopping!